History Workshop 87, Spring 2019, carries a fascinating piece by Rosalind Eyben, The Moustache Makes Him More of a Man: Waiters Masculinity Struggles 1890-1910′. You will need academic access or be a subscriber to read it I’m afraid. 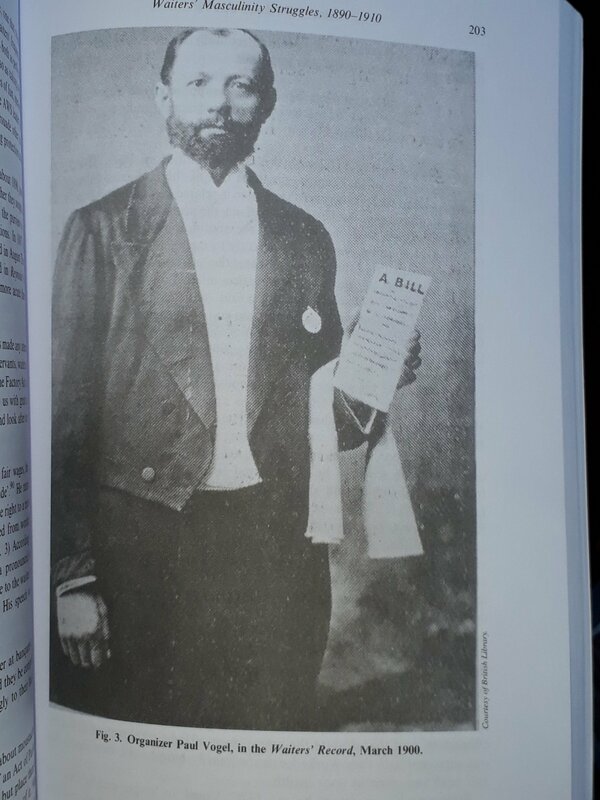 I had the pleasure of meeting the author for a coffee at the British Library a few months back, although we were talking about other research issues not facial hair! Before World War One, the job of waiter was seen very much as a female role and hence waiters who wore moustaches were thought to be unacceptably masculine. They formed a trade union, the Associated Society of Waiters and affiliated to the TUC. The leader was a chap with a fine beard Paul Vogel. Vogel’s efforts to get Congress to back the waiters’ fight to wear moustaches was not supported by delegates however. The reason was not pogonophobia but because waiters were regarded as servile workers too much in the pocket of the boss. That clearly was not the case with Vogel. At least the Daily Telegraph backed him…. Beard of Spring is the second of four seasonal awards that lead to the Beard of the Year in December. 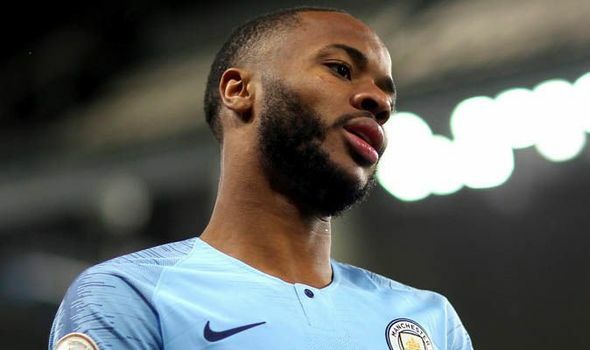 The campaigners say that while the second seasonal award of the year traditionally focuses on new beard growth with Easter so late, the focus is more on those whose beards have appeared in a positive public light during the quarter. 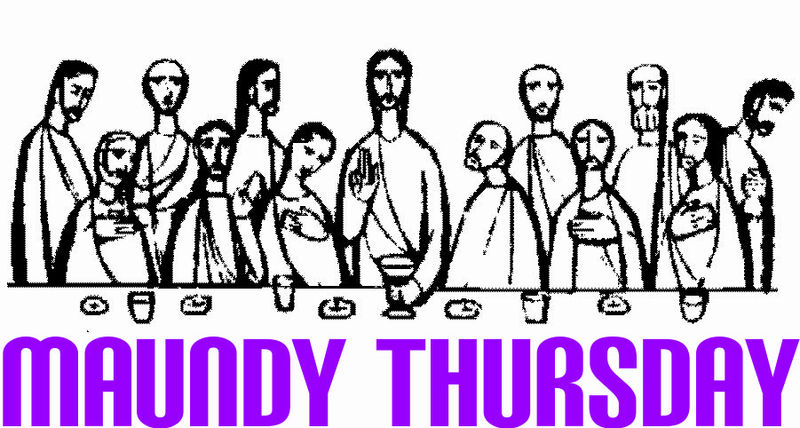 The Beard Liberation Front, the informal network of beard wearers, which campaigns against beardism, irrational prejudice against the hirsute, has warned against excessive enthusiasm for Maundy Thursday traditions. The campaigners say that while the day before Good Friday is traditionally associated with the distribution of the Maundy Money and the washing of feet it is also known as Shear Thursday. 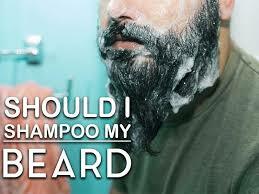 This refers to those who had given up shaving for Lent, cutting off their beards as the period of abstinence ended. The BLF says that while there is no objection to trimming and styling an organic Lenten beard on Maundy Thursday shaving it entirely suggests excessive enthusiasm and is to be avoided. 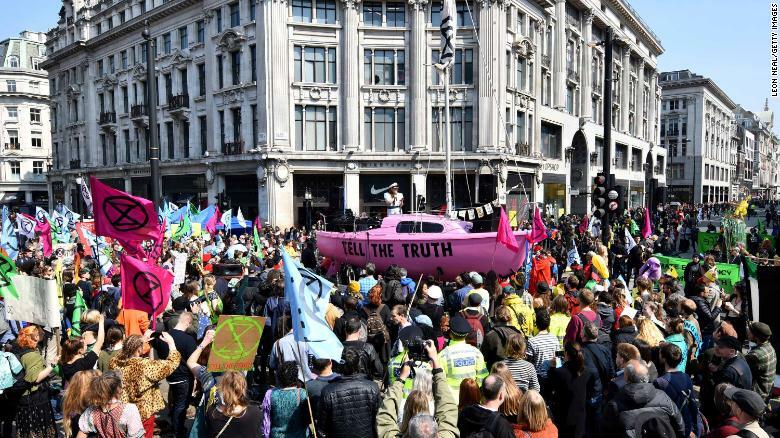 I noticed a tweet from the Met Police on Wednesday noting that around 300 Extinction Rebellion protesters have been arrested in central London since Monday. Most it went on have been detailed under Section 14 of the 1986 Public Order Act. The Act tidied up and updated for modern purposes a range of potential offences under the areas of public order and unlawful assembly. The background as the Wiki hints is that people were protesting more- a trend that can be traced back to 1968- and the authorities wanted laws to deal with it. The Police invariably use the words that they are facilitating peaceful protest and that is what would be expected in a democracy. The reality of course, as Section 14 suggests, however that this is only the case if the protest is agreed in advance with the Police, including where it can be held and for how long. Historically the State was not comfortable with any form of gathering. People coming together to discuss something who exceeded 49 in number were breaking the law until the mid-nineteenth century. The only way round this was to raise a petition and that organise a demonstration when it was presented to Parliament. The State wasn’t keen on that either however, hence the 1661 Tumultuous Petitioning Act. Where many, myself included, might see a democratic crowd, the Police tend to see a potentially unlawful mob. 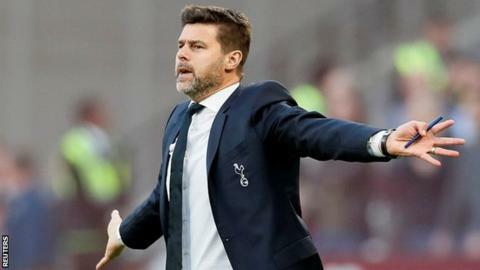 The Beard Liberation Front, the informal network of beard wearers, has been widely quoted in the media globally in the last few days on a story that research had shown that men’s beards are dirtier than dogs. Scientists have now investigated the research and found out that it was nothing to do with this point, although it has clearly seized the pogonophobic imagination of many. 1 The study aimed to discover whether it was safe to use MRI scanners for dogs with health issues and then use them for humans. BLF Organiser Keith Flett said, we suspected all along that the ‘dogs, dirt, beards’ story had been twisted by pogonophobes and we are pleased to see that scientists have confirmed the point. As we approach the 42nd anniversary of the Battle of Wood Green some interesting new information has come to light about the day, when anti-fascists opposed a National Front march from Ducketts Common, Turnpike Lane in North London on Saturday 23rd April 1977. On 16th April 2019 a memorial event was held at the Bernie Grant Centre in Tottenham for the sadly late Narendra Makajani, a former Haringey Labour Councillor and a key figure in the setting up the Labour Party Black Sections in the 1980s. 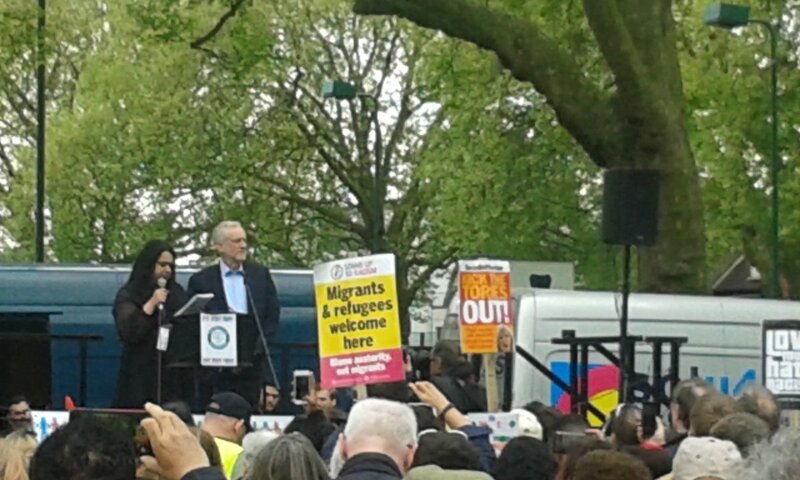 I knew Narendra from the 1970s on and he was himself at the Battle of Wood Green as Jeremy Corbyn, who was the spokesperson for the anti-fascist protest, recalled. The Labour leader also recalled that he had come under pressure not to front-up the protest as it might not look good image wise. He told the event he had refused and underlined that he felt at the time, and now, that the lesson of Germany in the 1920s, was that if you didn’t oppose fascism when it was on the rise, then it could get into a position to win power. Are the Tories heading for their biggest split since the Corn Laws? Tories heading for biggest split since 1847? Robert Peel was elected in 1841 with the backing of landowners who did not want the Corn Laws (a tax on imported wheat that kept domestic bread prices high, likewise profits for farmers) repealed but did in fact repeal them in 1846 with the backing of the Anti-Corn Law League. The working class, primarily the Chartists, were only marginally concerned in terms of the organisation of the League pushing instead, in due course successfully, for a Ten Hours Act to reduce the length of the working day. A measure they correctly judged would have more impact on workers lives. 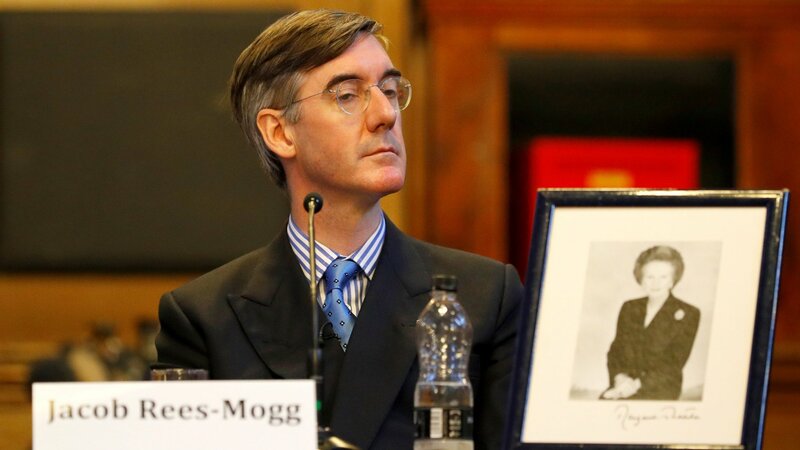 Jacob Rees Mogg, who has a history degree from Oxford, has argued that Peel’s actions split the Tory Party and this led to them being out of Office for several decades as a result. In this as in so many things Rees Mogg is not entirely right. The Tories did have brief spells in Office in the 1850s and 1860s but not until Disraeli in 1874 were they able to reassert themselves as a dominant Parliamentary force. The Tory Party of the 1840s was hardly the one we know today. The modern Liberal Party was not formed until 1858 and the present shape of the Tory Party was not fully defined until the early twentieth century. The second half of the nineteenth century saw several significant realignments in ruling class politics between Tories and Liberals. The English workers have very well understood the significance of the struggle between the landlords and the industrial capitalists. They know very well that the price of bread was to be reduced in order to reduce wages, and that industrial profit would rise by as much as rent fell. The English workers have made the English free-traders realize that they are not the dupes of their illusions or of their lies; and if, in spite of this, the workers made common cause with them against the landlords, it was for the purpose of destroying the last remnants of feudalism and in order to have only one enemy left to deal with. The workers have not miscalculated, for the landlords, in order to revenge themselves upon the manufacturers, made common cause with the workers to carry the Ten Hours’ Bill, which the latter had been vainly demanding for 30 years, and which was passed immediately after the repeal of the Corn Laws. The Tory split however very much mirrors the issues that have obsessed the Tory Party over Europe and now Brexit for many years. Namely is free trade or protection in terms of tariffs the best way for capital to successfully go about its business and make a profit? If the Tories do split over Brexit, as in 1847, it is the job of the labour movement to make sure that the moment of ruling class crisis is used to push through changes that benefit the working-class as Marx urged 150 years ago.